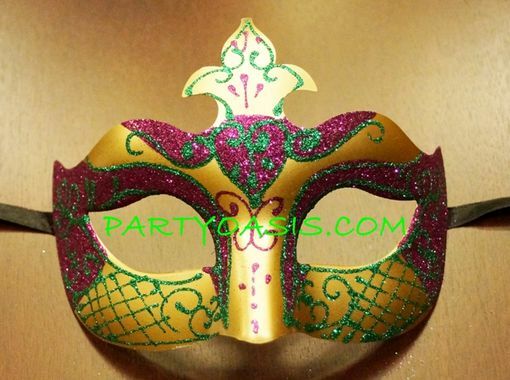 A simple and elegant mask with a rich, gold, base paint. The eyes and cheeks feature purple glitter, accented with green glitter. Dimensions are 6.25�W X 5�H.